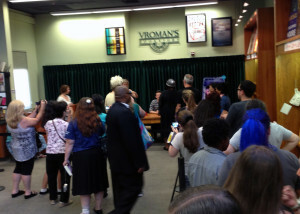 Today at long last was the day Chris Colfer had his signing at Vromans. I had been looking forward to this for a while (for an indeterminate period of time longer than a week). 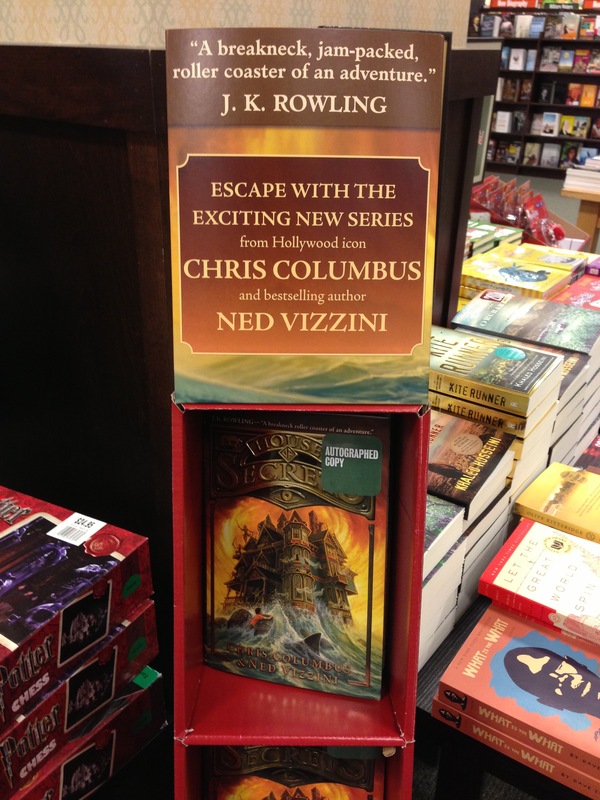 Much praise to the Vromans staff. I took a picture from the line. It’s an awful picture; blurry and his head is obstructed. Ah well it wasn’t important. I may not post as much about the Summer of YA event that was held today at the Barnes & Noble in beautiful Glendale California. Basically it was a great opportunity to spend some time talking with a bunch of YA authors and I don’t know why you didn’t attend … assuming you didn’t of course. Some of you did attend like me, Alethea and Andrew Smith. 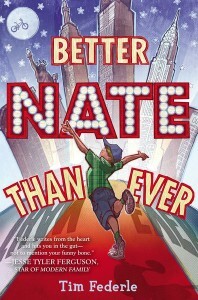 In preparation for today I finished Boy Nobody by Allen Zadoff. Our protagonist is a teenage assassin who infiltrates lives and murders parents. I remember hearing about it when it first came out and I was intrigued by the premise, so I downloaded the sample in iBooks and I was pretty hooked. 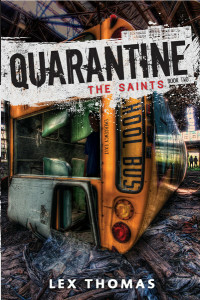 Newest addition to the library is a signed copy of Lex Thomas’s second Quarantine (Quaranteens!) book, The Saints. Saw them at the Barnes & Noble at the Grove. Lex remembered me from the Ontario Teen Book Fest. I declined to wear my author event jacket because it was just too hot. I should like to think that my author event jacket helps authors remember me but at the same time I never assume that there are reasons for authors to remember me. With a few exceptions of course. 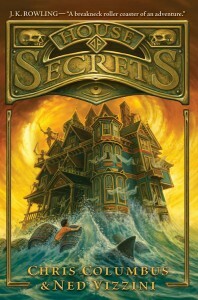 I love to refer to the series as Quaranteens even though it was changed before publication. If you’re unfamiliar basically a high school has been quarantined and all of the students fight amongst themselves for dominance… It’s going to be a trilogy. Book one was The Loners and is already available. Oh…. should have asked that. I’m not great on coming up on questions for authors so it was great that Lex came prepared for questions. Ugh. It took me 30 minutes to get over the hill and into Hollywood. Surface street traffic and it didn’t even seem particularly bad. I find other people posting about all the things they got annoying and obnoxious so of course I’ve done one myself … because when you confess your own hypocrisy it stinks just a little bit less. Interrupting my anecdotes of #BookFest for a quick post about a surprise discovery I made tonight…I went to Barnes & Noble in Glendale tonight because they sent me a coupon which was about to expire. So I went in and bought LEGO. (Be glad I don’t blog about me and LEGO). TL; DR: Stephan Pastis has more fans but I like Tim Federle more so I can live with the choices that I made.